Leicester: English Premier League club Leicester City FC's owner Vichai Srivaddhanaprabha and four others died in a helicopter crash outside the King Power Stadium here on Saturday, the club announced. All five people on board the helicopter died when it went out of control and crashed in a car park. Srivaddhanaprabha was 60. He was married and had four children. He had bought the Leicester club in 2010 for £39 million. The helicopter, which took off from the pitch of King Power Stadium, crashed in a car park near the stadium after Leicester's Premier League game had ended in a 1-1 draw against West Ham United. 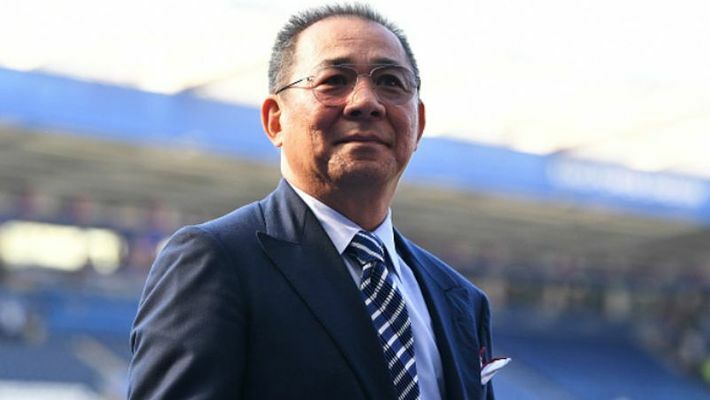 "It is with the deepest regret and a collective broken heart that we confirm our chairman, Vichai Srivaddhanaprabha, was among those to have tragically lost their lives on Saturday evening when a helicopter carrying him and four other people crashed outside King Power Stadium. None of the five people on board survived," Leicester City FC said in a statement. "The primary thoughts of everyone at the Club are with the Srivaddhanaprabha family and the families of all those on board at this time of unspeakable loss," it added. The club, which won the Premier League title in 2016 in one of the greatest sports stories in British history, said that the world had lost a "great man". "In Khun Vichai, the world has lost a great man. A man of kindness, of generosity and a man whose life was defined by the love, he devoted to this family and those he so successfully led. Leicester City was a family under his leadership. It is as a family that we will grieve his passing and maintain the pursuit of a vision for the club that is now his legacy," it said. The Thai billionaire's tragic death left the club's players and fans in shock. Thousands of bouquets and scarves were left outside the stadium as a mark of respect.